Came across some dope footage of me rocking at A3C this year courtesy of indiemuzikspotlight. Hit the jump for Shakedown & Double Barrel. Torae “Shakedown” @ A3C Festival 2011 from K.D. Gray on Vimeo. 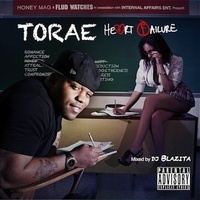 Torae “Double Barrel” @ A3C Festival 2011 from K.D. Gray on Vimeo. This entry was posted on October 15, 2011 by Team Torae. It was filed under A3C, Atlanta, For The Record, Internal Affairs Entertainment, Live Performance, New Music, Rap Sh*t and was tagged with 9th Wonder, Double Barrel, Marco Polo, Pete Rock, Shakedown, That Raw, Torae.